Today I want to compare Floki with Loki through the seasons of Vikings. In the first season, we got our first introduction to Floki in the woods. He hears trees talk to know which one he needs to build a special longboat for Ragnar. Floki builds this longboat on his own island where no one from the earl can find out he is building it. There is a story where Loki did not build a longboat himself, but the story looks like what the perfect Longboat made of. In The creation of Thor´s Hammer. We find out that dwarves build Loki a ship. That ship has the same building experience what we see with Floki´s longboat. We also see Floki as healer together with his wife Helga to heal Ragnar from the wounds that almost killed Ragnar. In later seasons, we find out he knows more about herbs and the rest of nature that could help him save or could fake the dead of someone's live. He also hides Ragnar in his house for a while. Loki in Skrymsli and the peasant child tells us there was a peasant child who gambled away by his dad. The story is about hiding the child not be found. That is what Floki does for Ragnar because the earl must not find out Ragnar is still alive. In the second season, Floki changes side a couple of times. In favor of who he likes. He conflicted with himself and Ragnar. Ragnar change to the other belief which he drawn into by Athelstan makes Floki the distrusted guy in a way. At the end of season two, we see him more and more conflicted he only believes that the gods of his religion is the one and only gods that exist. In the finale of that season, he tricks Jarl Borg and King Horik in his downfall. By protecting Helga and the newborn child, he pushes everyone away. If we take Loki´s story The kidnapping of Idun we see an almost similarity to the blood eagle we see Ragnar doing at Jarl Borg. In season three, we see a lot of things happening in Floki´s live. He kills Athelstan out of jealousy. He shapes shift into a dog to avoid Rollo. He is continuously in conflict by the gods and feel if the gods betrayed him. Loki likes to shape shift a lot into different things, people or animal. Out of jealousy, he kills Baldur in the story The dead of Baldur. 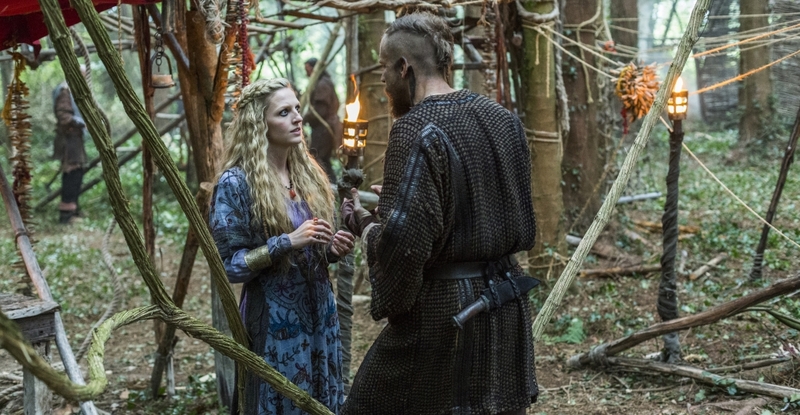 Is Athelstan Baldur In Floki's story? After that he will be bound in the story Loki´s bounding. That brings us to this seasons, four expectations about Floki. When I saw the trailer and saw him in chains and after that in the cave screaming. I was immediately convinced it had to do with the bounding of Loki. The only thing I can´t figure out yet is that the suggestion in the interview with Kevin Durand who played Harbard / Odin. What kind of role he will be playing in this bounding. Or is this just to get me on the wrong foot again. The only thing I can think of is will Harbard / Odin take part in the bound of Floki? Or is it something else he is coming for Ragnar perhaps if he dies or is he going to help Ragnar get Floki / Loki bound? Is Floki totally going to lose his religion and is this why Harbard / Odin will come? We see Helga and Floki in the cave together. Will they be back together or is Helga Sigyn in the Loki / Floki story.